Education in refugee camps is a luxury. When resources are stretched thin and families are displaced, education is often neglected. 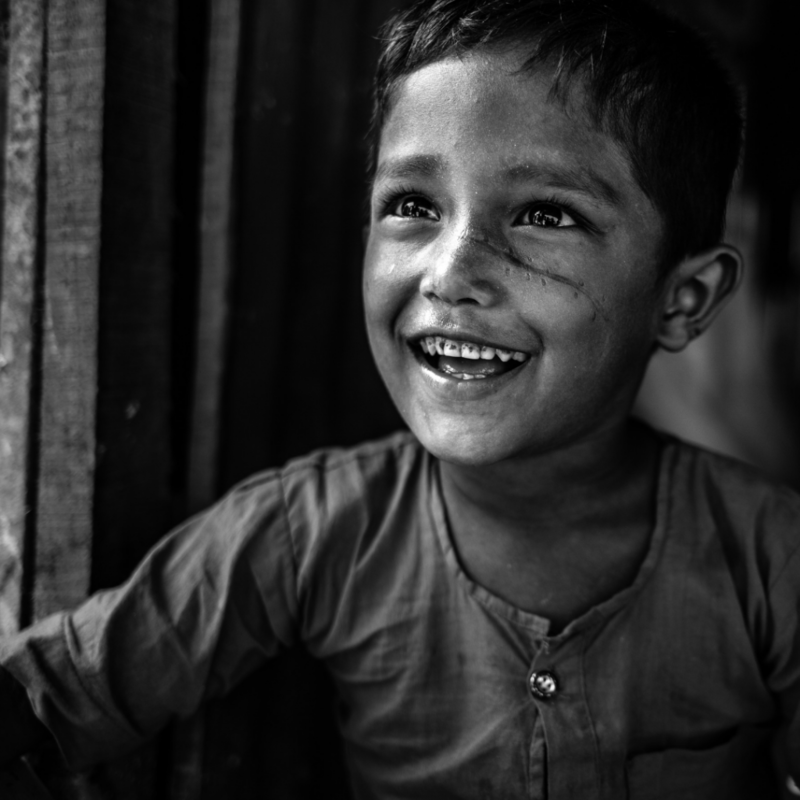 With little formal opportunity to learn, cognitive development is compromised and refugees fall victim to depression. Through targeted services, time in camps can be redeemed to promote educational growth. Sometimes school isn’t an option. There are barriers of entry to formal learning. That’s when informal learning takes place. Books Unbound delivers targeted informal learning for refugees. A picture-based curriculum reaches both literate and illiterate individuals, allowing a more inclusive learning environment. 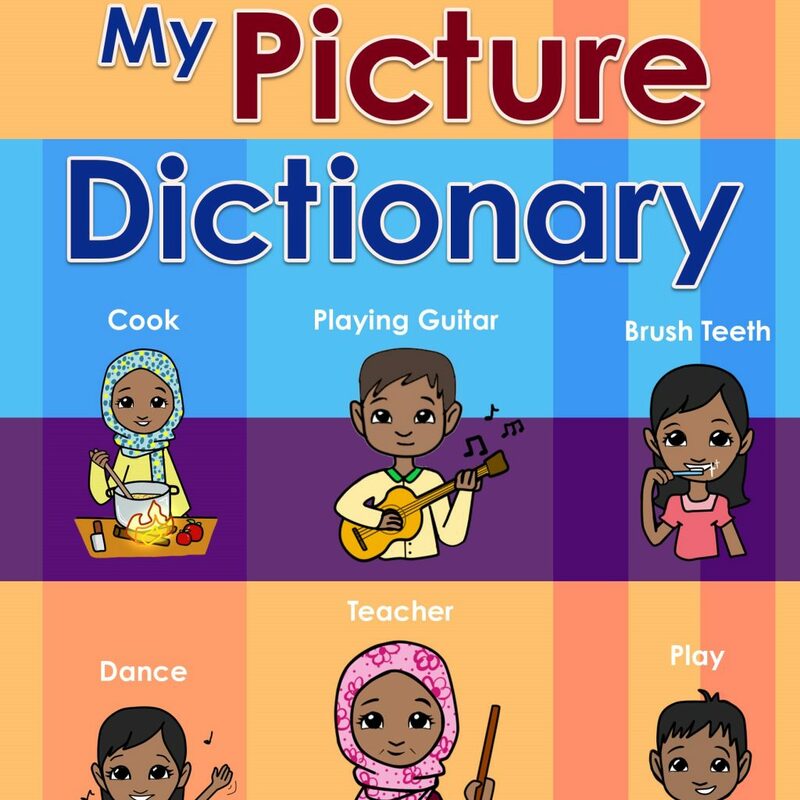 The illustrations are designed specifically for the ethnic group, making it relatable and culturally sensitive. Whether a self-taught or instructor-based environment, our illustrative curriculum provides multiple avenues to learning. We accept artwork from volunteers all over the world. We accept artwork on a rolling basis through our Artist Platform. 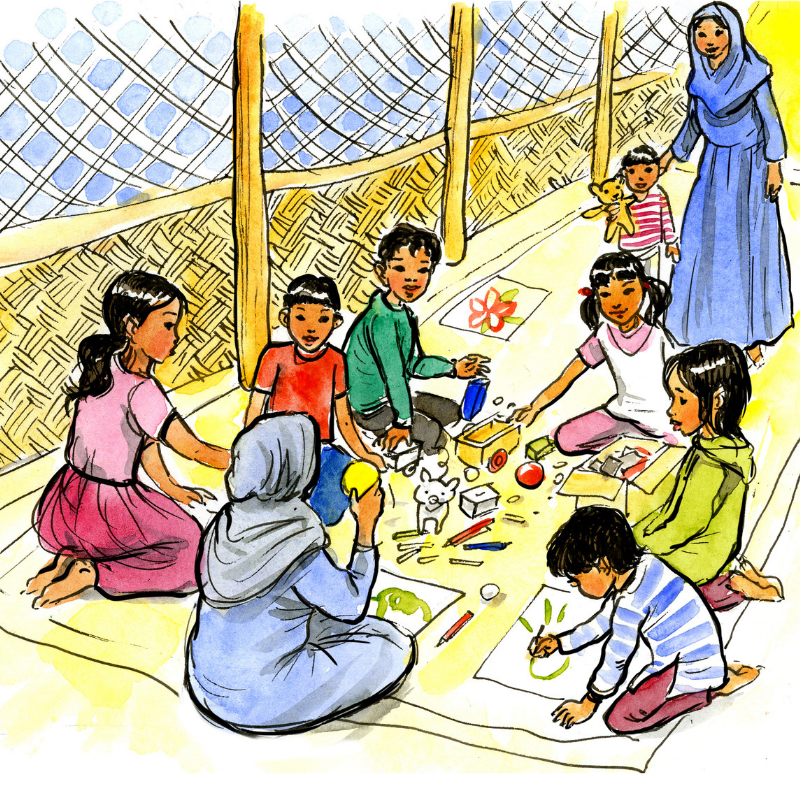 We work closely with the refugees to ensure that all illustrations are culturally sensitive and relevant. Our Teacher platform lets teachers share their lesson plan ideas. These are displayed in short video segments of in-classroom demonstrations. We want to reduce the barriers of entry to teaching. It’s informal and open to anyone who wants to teach. Books Unbound is used to educate and break down barriers so that the stories of the displaced can be told. We provide a platform for the stories of the refugees to be documented and shared to a global audience. In August 2017, a violent crackdown against the Rohingya people in western Myanmar forced a mass exodus to neighboring Bangladesh. 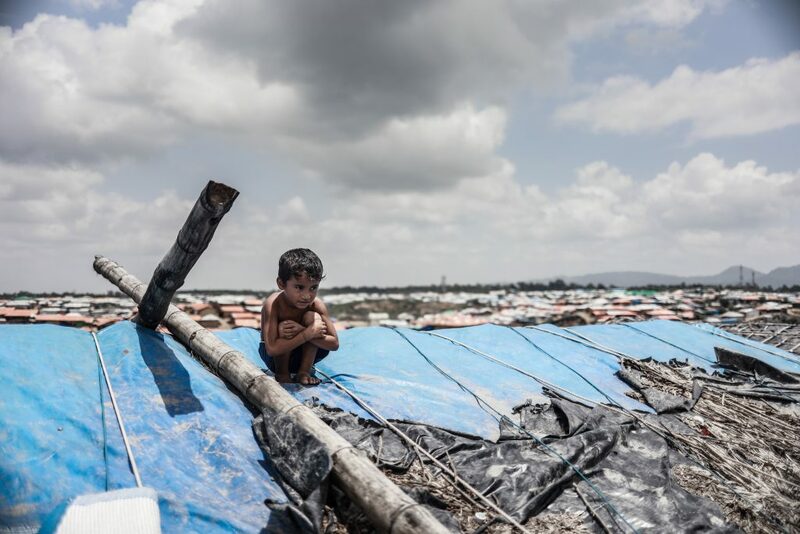 The Rohingya are currently living in Kutupalong, the world’s largest refugee camp. Rohingya from Arakan State, Myanmar. Based in the Netherlands. 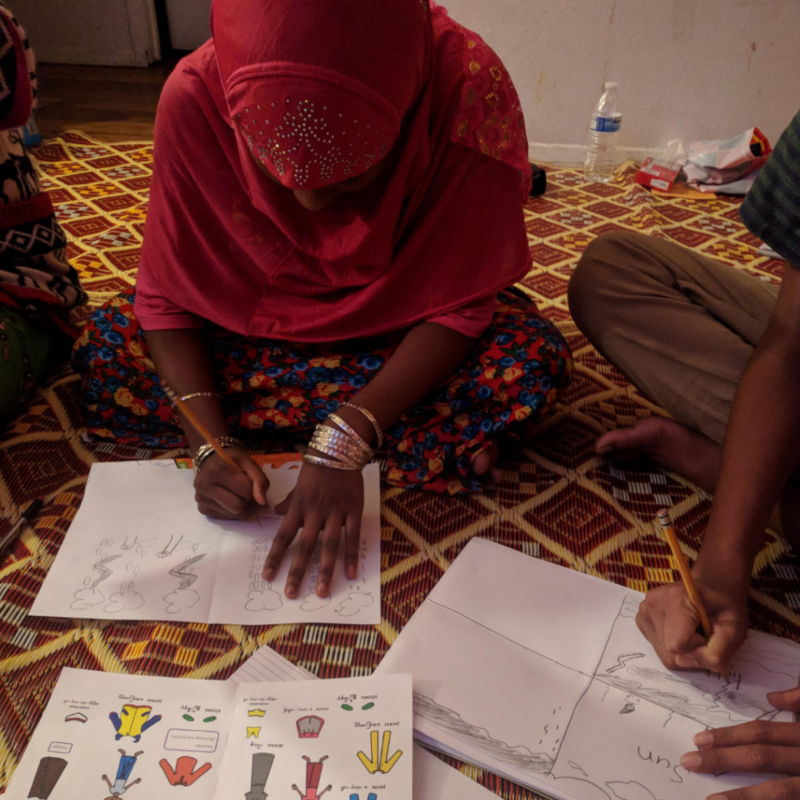 Vocabulary was collected from Rohingya refugees in Bangladesh and throughout the United States. 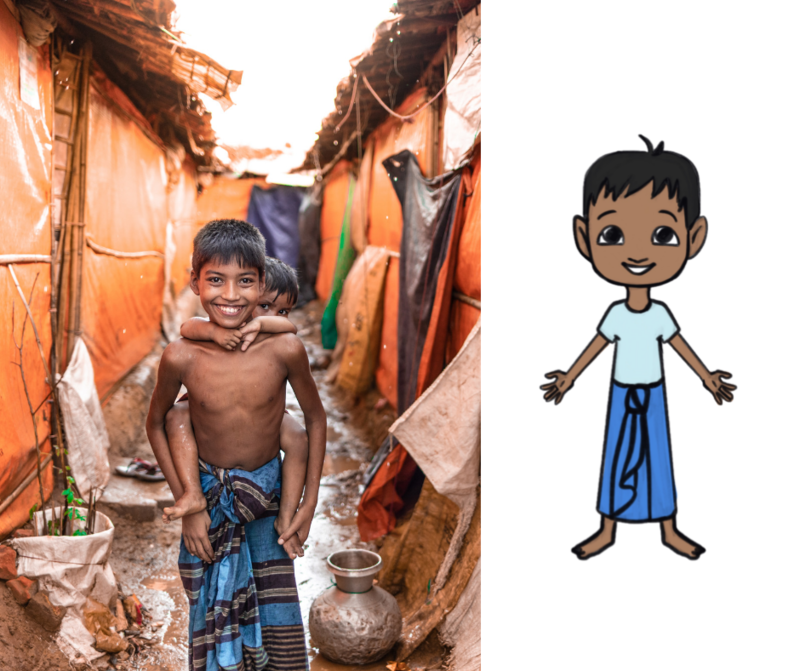 Over 265 Rohingya-specific illustrations were developed by 35 volunteer artists from 16 different countries.